Our Service Caster #35 Series features a 4-1/2" x 6-1/4" top plate and large double ball bearing raceway. 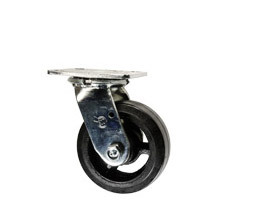 With bright zinc plating, grease fittings and 3/4"(.75 inch) bolted kingpins, our industrial caster selections are built to your needs. 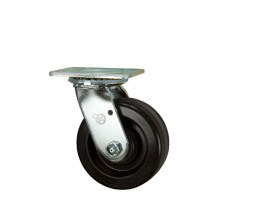 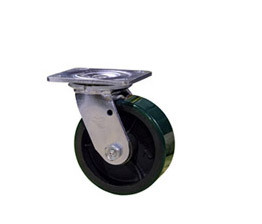 Great for use on dollies, platform trucks, warehouse carts and other heavy duty applications.